Ampeg's BA-112 bass combo amplifier answers the call for an amp that's both practice-convenient and gig-ready. It's sized for your practice space, and you can use the aux input for your MP3 player, plug in your headphones, and jam away. With its 60-degree floor monitor wedge and Scrambler overdrive circuit to add some tube grind, take the BA-112 to the stage - it won't leave you wanting for more. Ultra-high/low tone-shaping and 3-band EQ means you can dial in just the right tone. 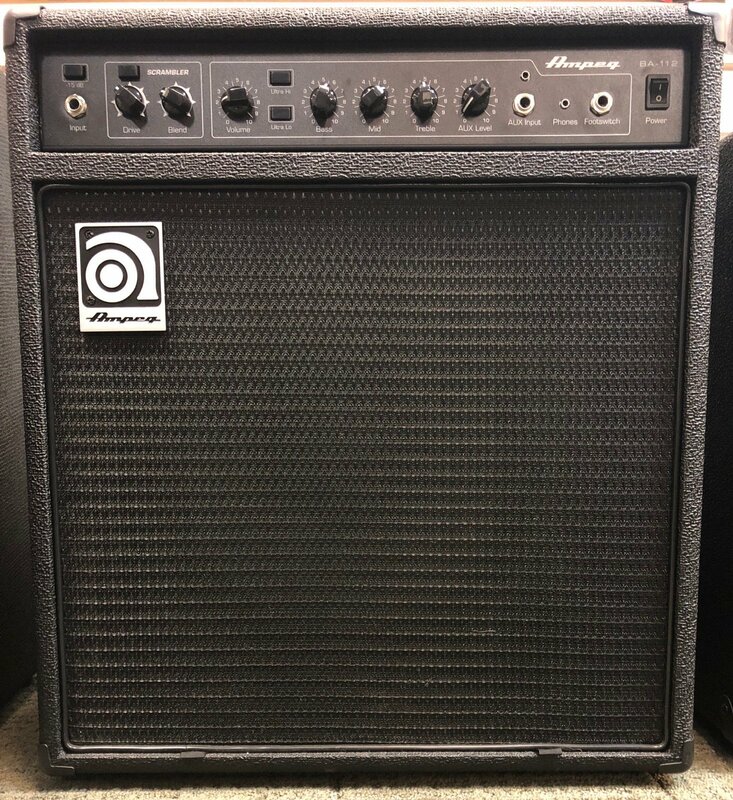 The controls have made the move to the amp front, making the Ampeg BA-112 bass combo amplifier great for both practice and gigs.